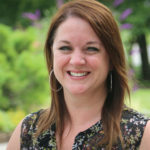 On the Friday afternoon of July 27, while I was working on getting ready for my family’s biennial reunion at my parents’ farm in Michigan, my phone rang. Jonathan Saperstein, CEO of Treetown USA, was returning an inquiry I’d emailed to his attorneys earlier that day. So I did what you do when a CEO calls you – put down the gardening hoe, grab a notebook, and start taking notes! Saperstein, 30, could be one of the youngest CEOs in the nursery game, and he certainly has some fresh ideas about how to run a horticultural operation, which has gained him kudos in the industry as the leader of a young, innovative, and talented team. He says TreeTown USA is looking forward to expanding its operations and improving its systems with the addition of the Hines Division, including the team currently working at those locations. I found Saperstein to be pleasant, interesting, and easy to talk to about the sale and his plans. He’s forthcoming and frank, yet also humble about the size and scale of TreeTown USA. To clarify the company’s involvement in the Color Spot Holdings sale, he said, “We are definitely not doing annuals!” before explaining that the acquisition of the Hines Division gives TreeTown USA the flexibility and capacity to realign its production, which overlaps with much of what the company has already been producing nationwide, while also allowing it to expand into the Pacific Northwest with Hines’ location in Oregon. “When you grow long-term crops, you have to pay attention to field layout and capacity planning. It’s ideal to produce crops close to the market where they’re sold, but if you don’t have space in those locations, you have to realign. This allows us to do that,” Saperstein says. We’ve been in touch since then, as the sale was delayed for a couple of weeks at the request of both Wells Fargo and TreeTown USA. The sale finally closed this past Friday, August 17. TreeTown USA produces mostly shrubs and trees, with “a low, single-digit percentage of business in perennials,” which are mostly rewholesaled, Saperstein says. Shrubs are now its number one revenue maker, as a result of acquiring other companies like Village Nurseries in September 2017, which produces mostly shrubs. Village Nurseries is now the operation’s West Coast Division, with 10 locations in California. 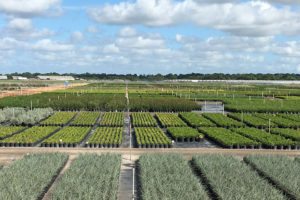 TreeTown USA produces a diverse range of plants and sizes of plants, with more than 300 species of mostly shrubs and trees, with a low, single-digit percentage of business in perennials. 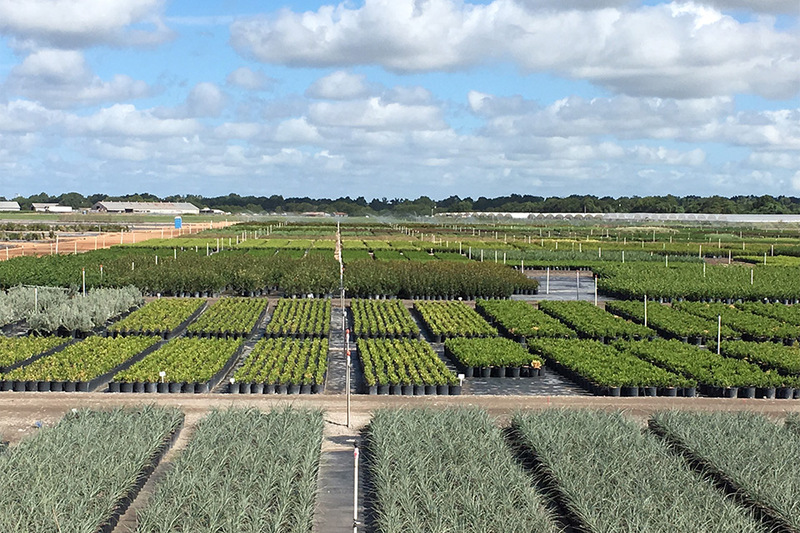 With all of its farm locations, TreeTown USA has nearly 2 million square feet of environmentally controlled greenhouses, as well as another 300 acres of shadehouses, and 4,000 acres of open field, true nursery production. With the acquisition of the Hines Division, it will have more than 6,000 total acres of production. TreeTown USA works with several prominent brands, and also has some of its own patents and brands. It produces an incredibly diverse range of plants and sizes of plants, with more than 300 species, shipping everything from a 670-gallon tree down to a 1-quart perennial, Saperstein says. The company produces more than that though, growing all of its own plants from plugs and liners to finished production. This controlled vertical integration allows the company to ensure quality production, he says. The company has a distinct focus on continuous improvement and works to replace infrastructure annually to allow for mechanization. Saperstein says this has been a challenge for TreeTown USA over the past year because it has had to produce crops on land that was earmarked for improvement, but having more room with the Hines Division coming online will also allow for it to do this. Mechanization is a big focus for the company, he says. “We’re probably one of the few nursery businesses with its own industrial engineers on staff,” he says. Equipment is developed and tested on site at its facilities. Once all of the kinks are worked out, solutions are rolled out to other facilities. “It allows us to test out and perfect what we can do,” Saperstein says. TreeTown USA is a privately held company and started out as a family business. 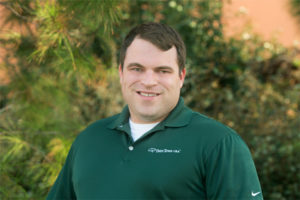 Saperstein’s father founded the company in 2001. Saperstein became involved in 2006, and purchased it in 2015 with his two sisters, who are not involved in the business. When Saperstein became involved in the company, it had 281 employees, and now has approximately 2,200 employed year-round. 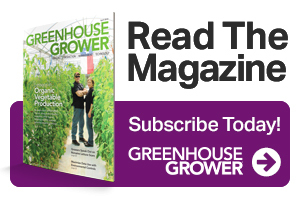 Continue checking back to GreenhouseGrower.com for more information on TreeTown USA and the Color Spot Holdings sale, as the story develops.